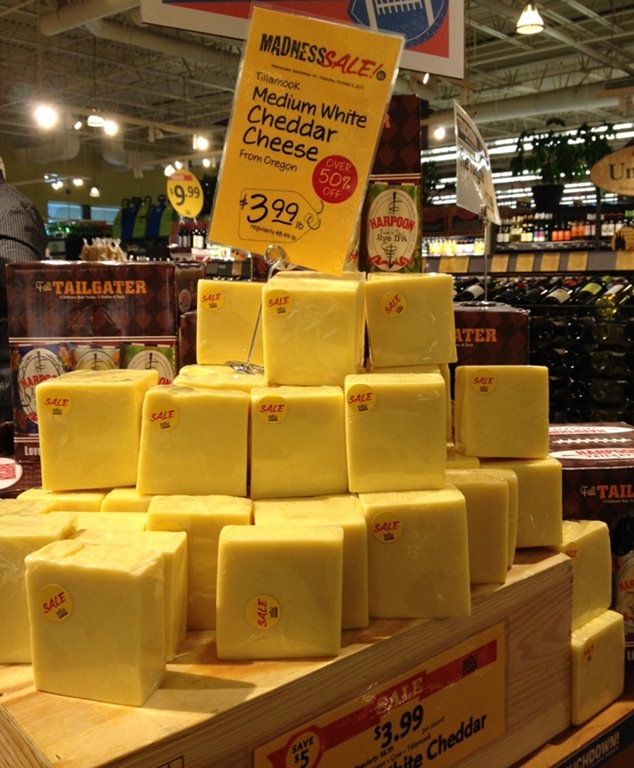 Whole Foods was having great sales when I went there on a whim last weekend. 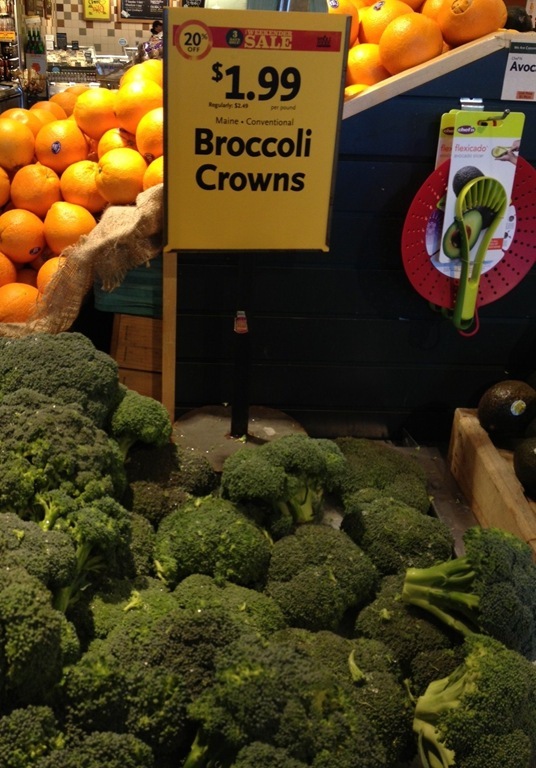 I think they subliminally got to me because somehow I ended up going home with broccoli (local from Maine! 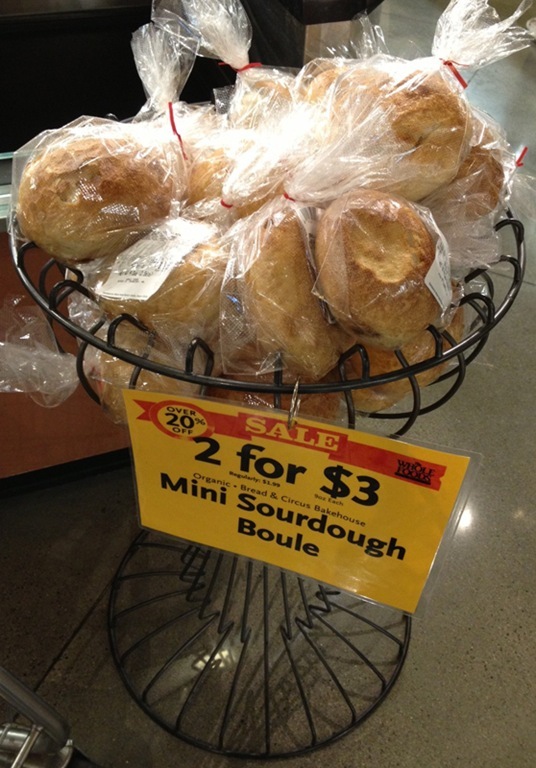 ), cheddar cheese, and a few mini sourdough boules. 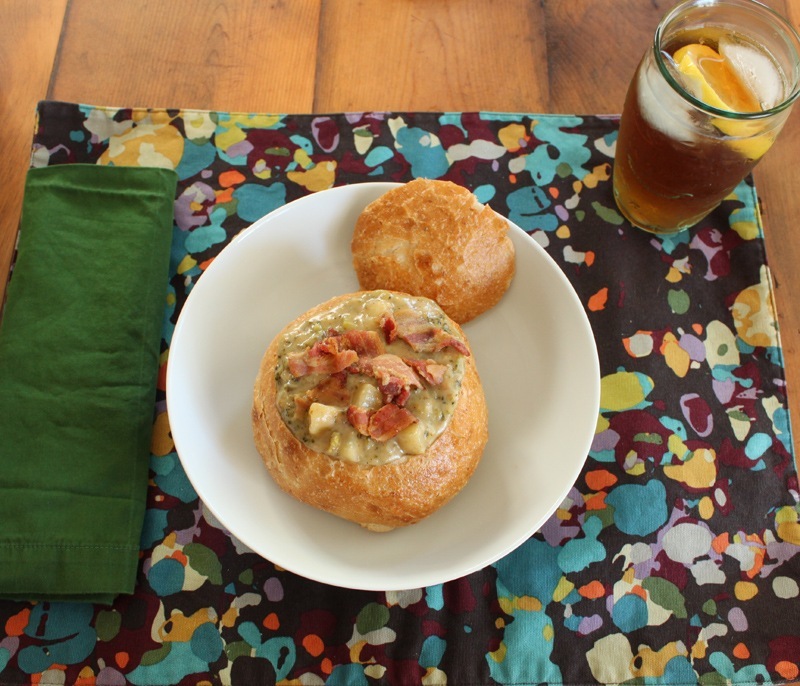 The perfect ingredients to make broccoli cheddar soup in a bread bowl. Hmmm, curious. 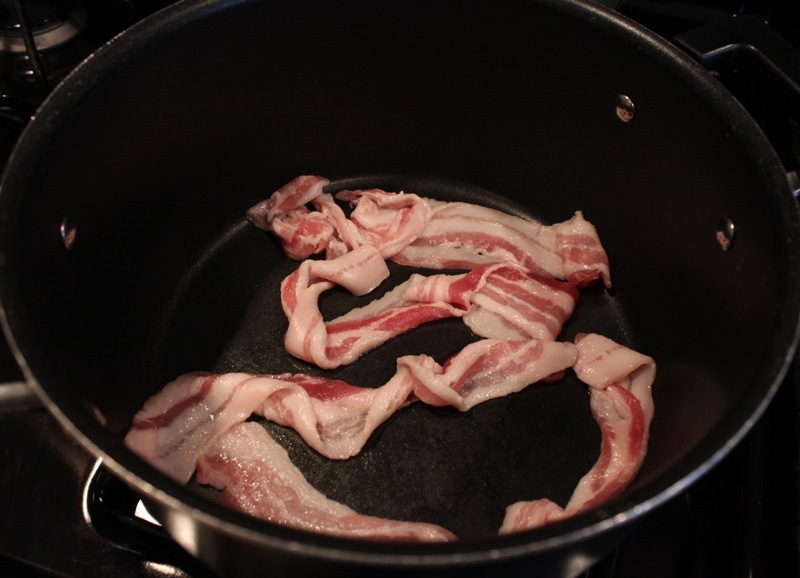 In a big pot, brown up the bacon over medium heat. 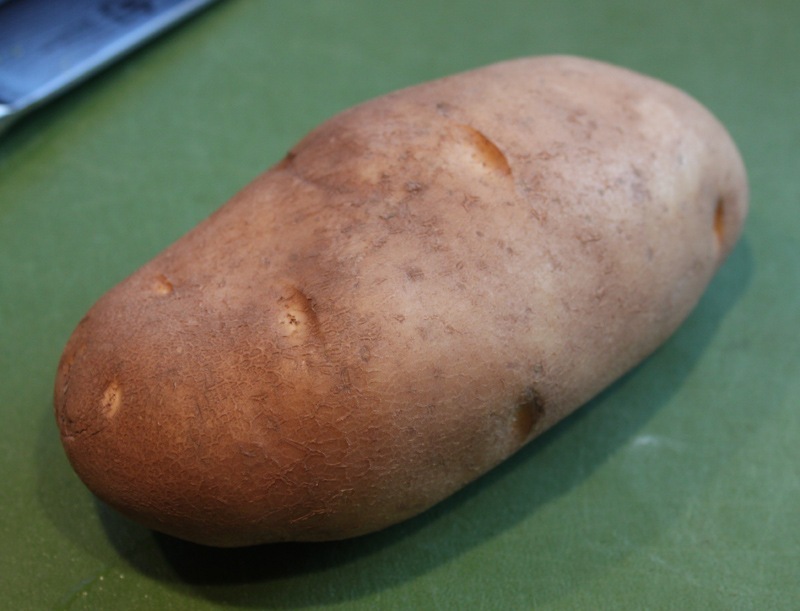 Once it’s cooked, set aside on a paper towel lined plate. 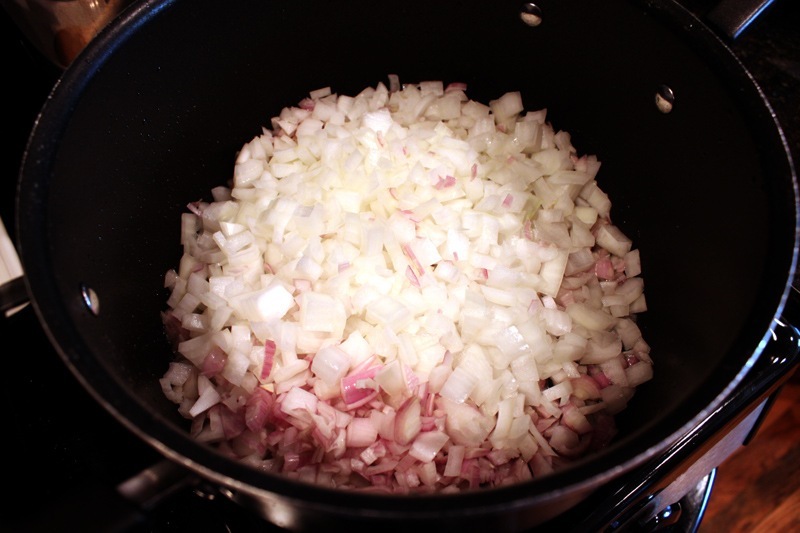 Chop the onions and shallots, and sauté in the same pot as the leftover bacon fat. Yep, that’s how this soup rolls. 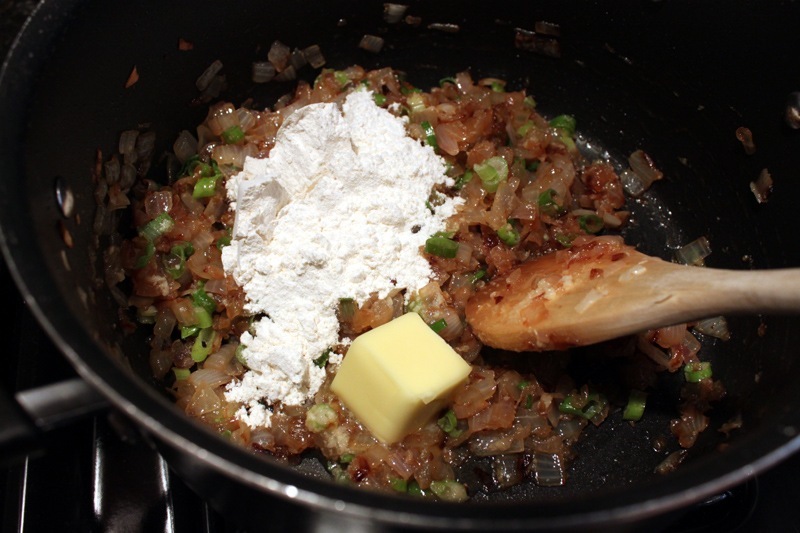 When the onions and shallots have cooked down, add the garlic, scallions, butter, and flour. 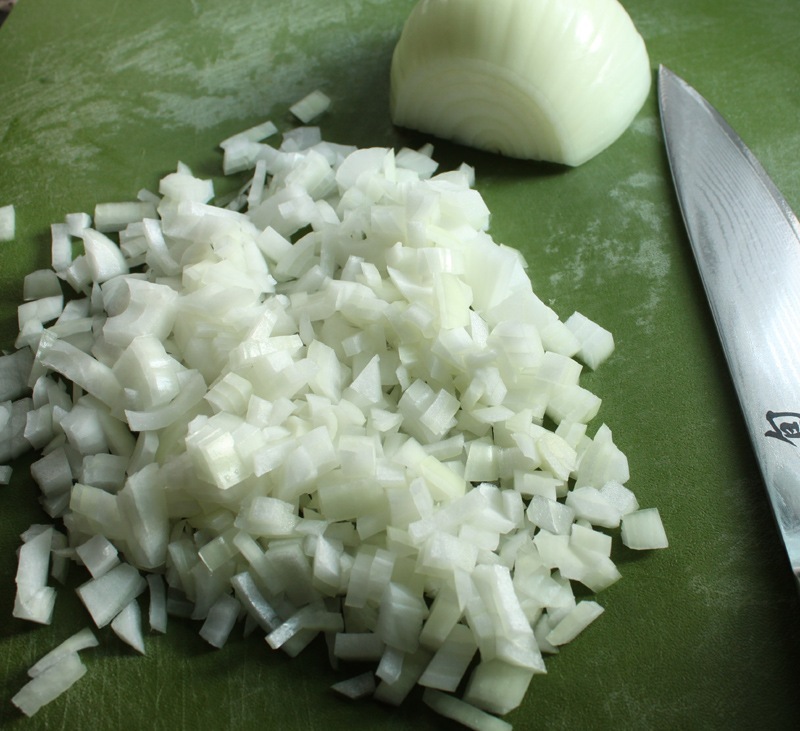 Stir thoroughly and let these ingredients hang out together over low heat for a few minutes. 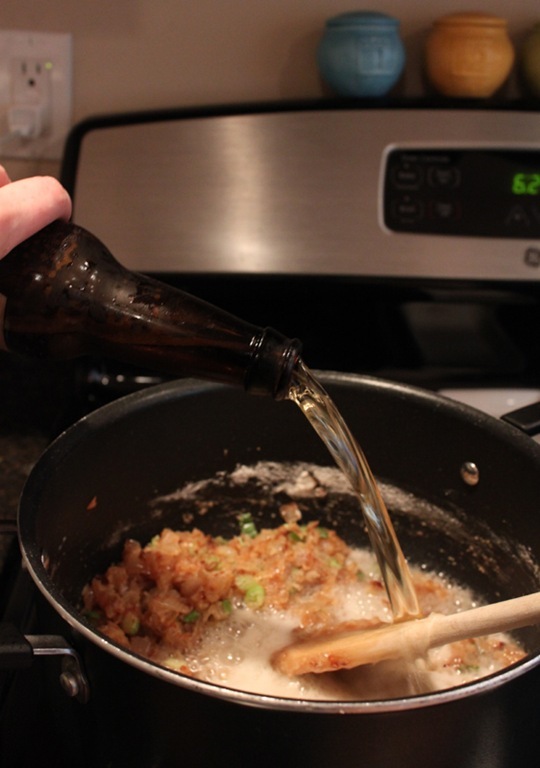 Basically you want to cook out as much of the raw flour flavor as possible – that’s the key to a good roux. Next, add the beer. 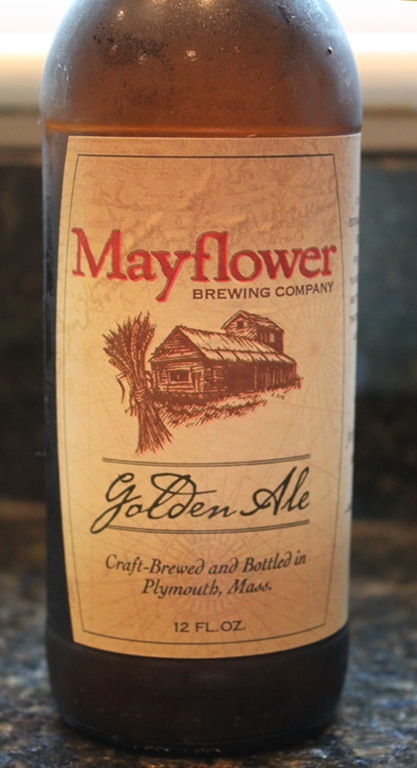 I used a Mayflower Golden Ale we had on hand. I would recommend an ale or wheat beer for this soup, anything but an IPA really. 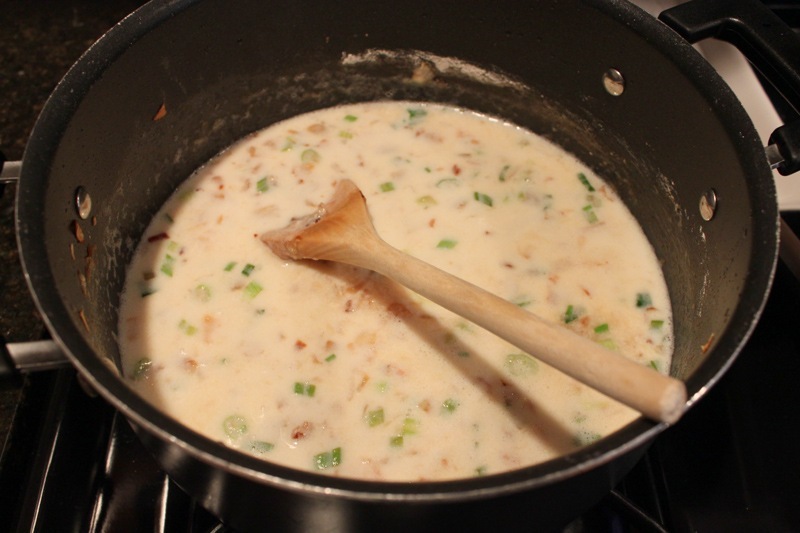 Add the milk, chicken stock, and spices, stir, and bring to a slight bubble over medium-low heat. At this point the soup will begin to thicken. 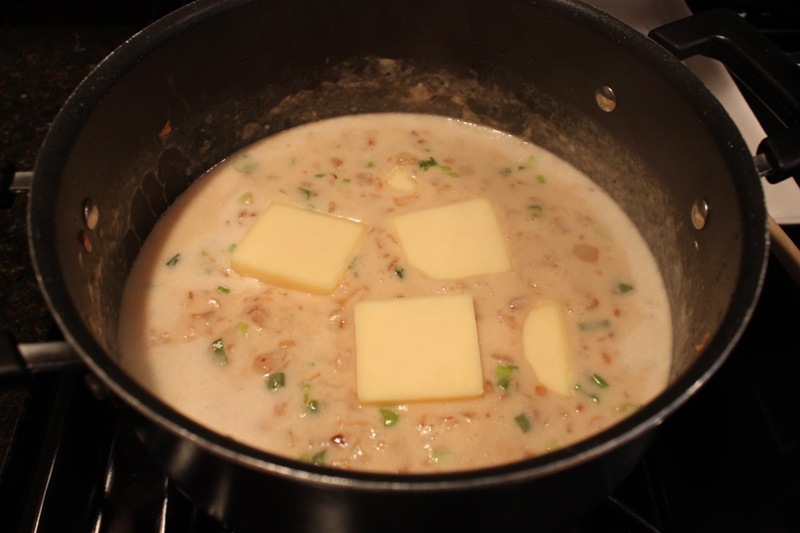 When the soup base has thickened, it’s time to add the cheese. 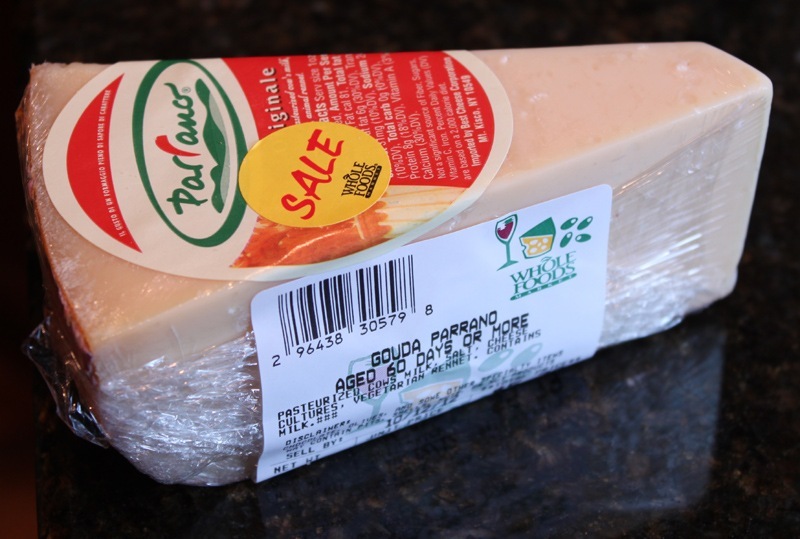 I used primarily cheddar but threw in some gouda too for some extra nuttiness. That’s totally optional though. 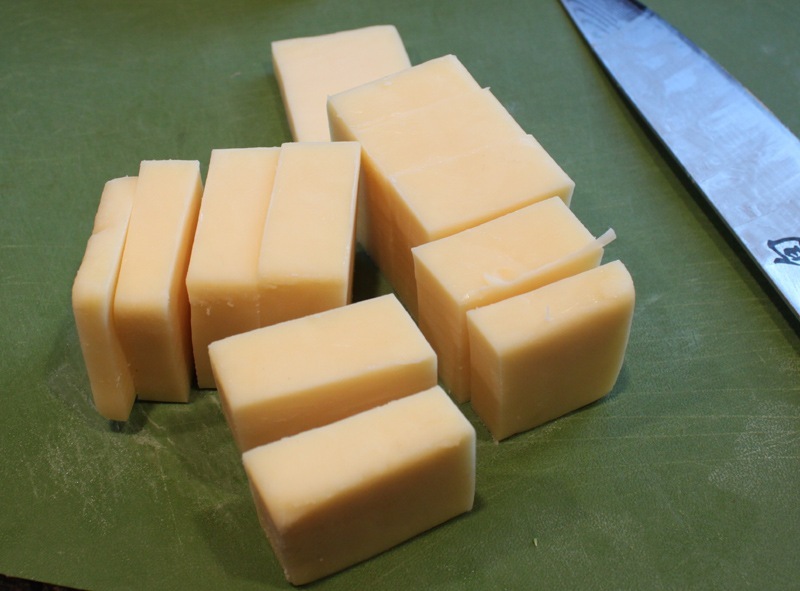 Cut up the cheese and completely melt it into the soup over medium-low heat. This will take about 15 minutes. Stir often! 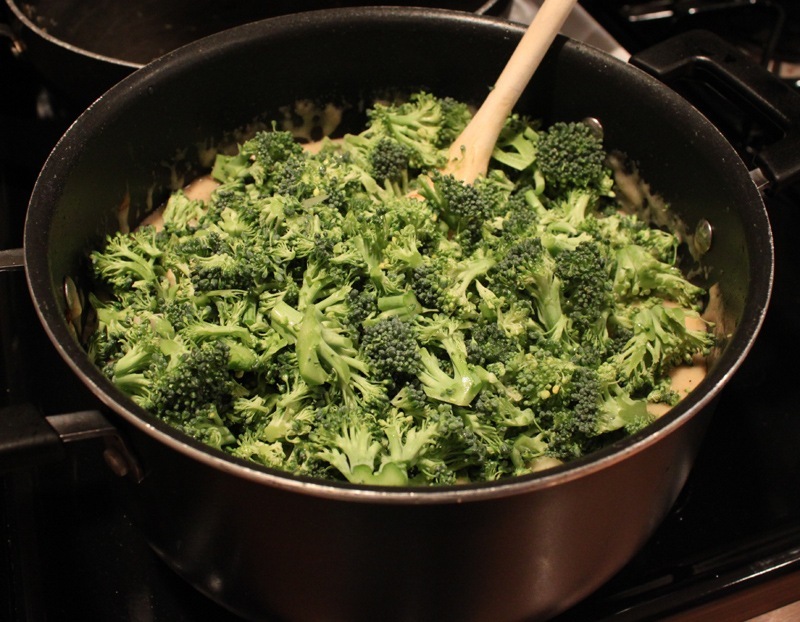 When the cheese has melted it’s time to add the broccoli and potatoes. 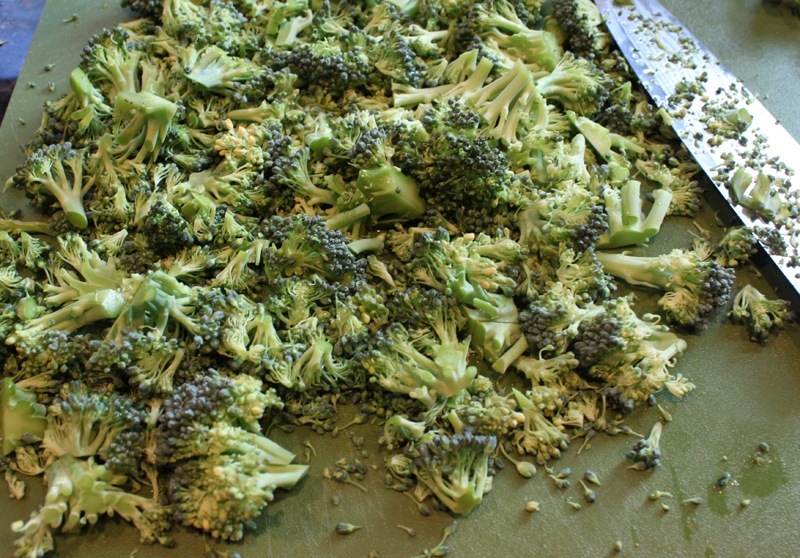 Wash the broccoli, cut into florets, and then rough chop all of it. It doesn’t need to be perfect but you don’t want big pieces. 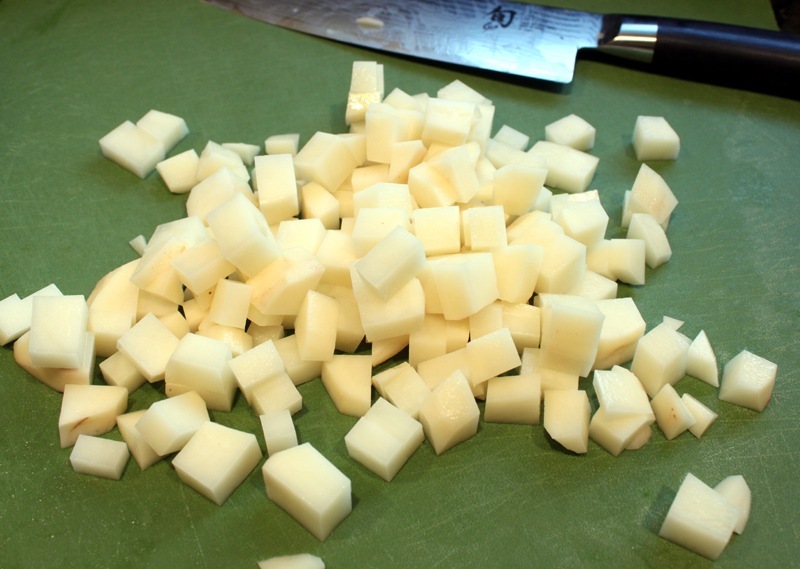 For the potato, peel it first then cut into small cubes. 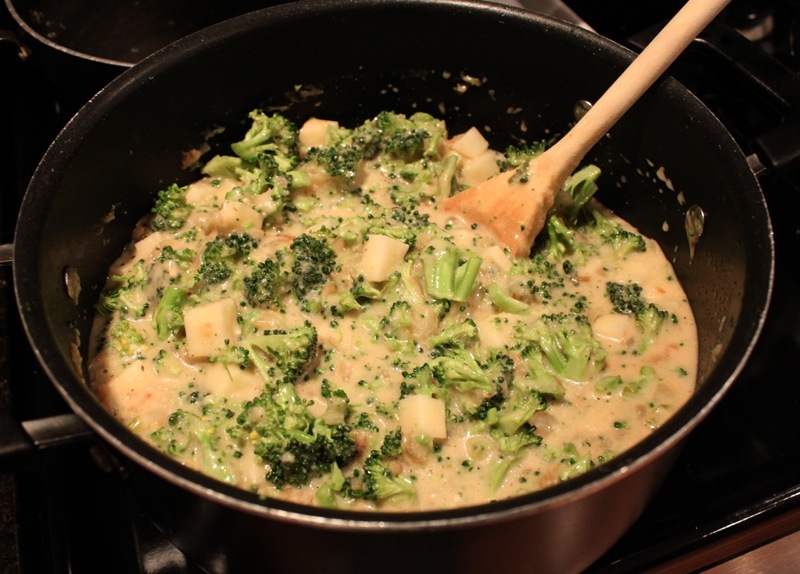 Add the broccoli and potatoes to the soup. Simmer on low heat for 1-2 hours. 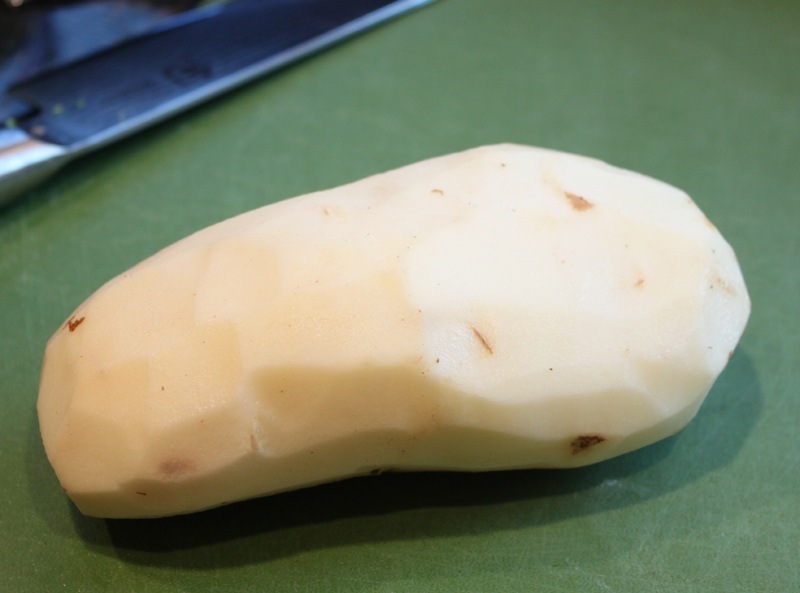 Before serving, make sure the potatoes are tender and the spice level is right for you. 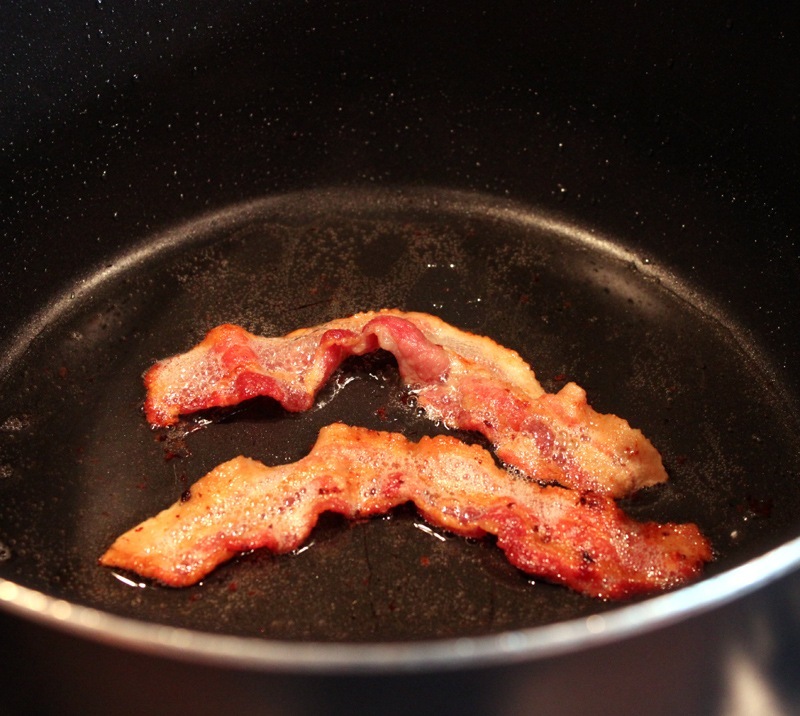 Adjust salt, pepper, and red pepper flake as needed. 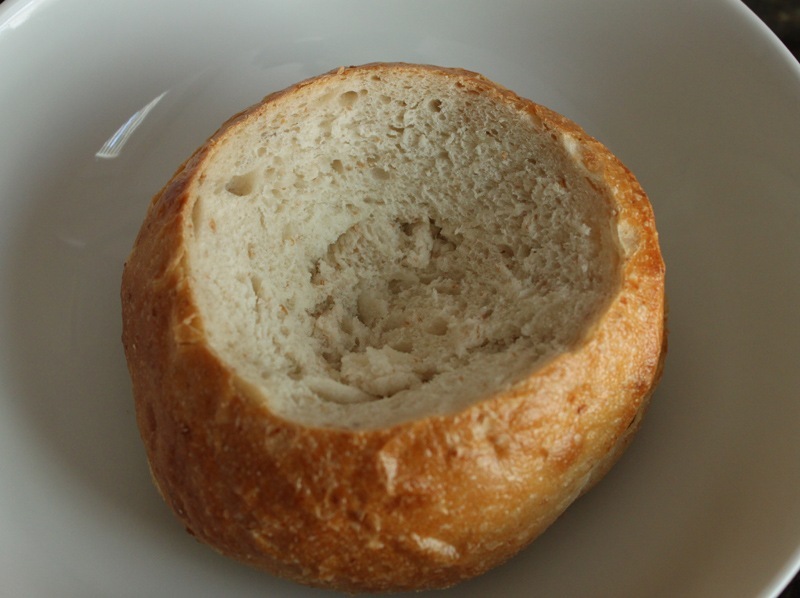 It’s time to eat, but first – the bread bowl! Take a small/mini boule (any kind will do though the sourdough ones I got were delicious), cut the top off on an angle, and then scoop out the middle. 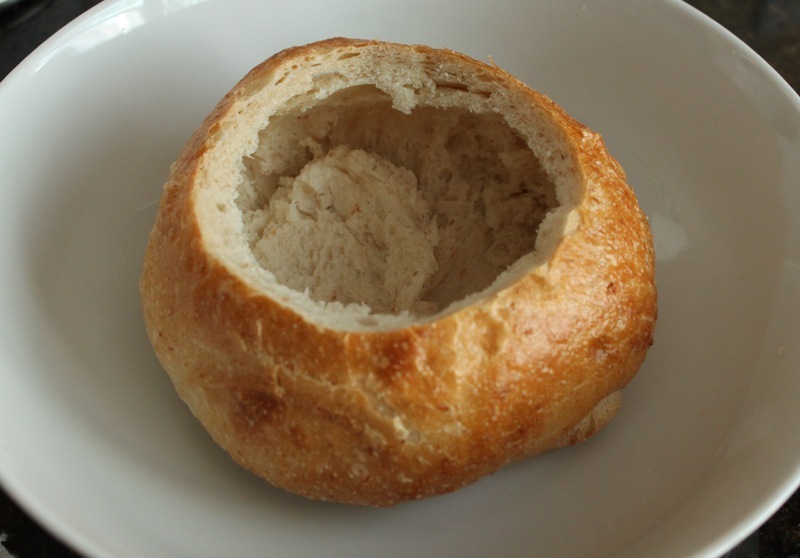 Needless to say, don’t you dare throw away the bread bowl guts – you can make breadcrumbs, croutons, or a panzanella salad out of them! 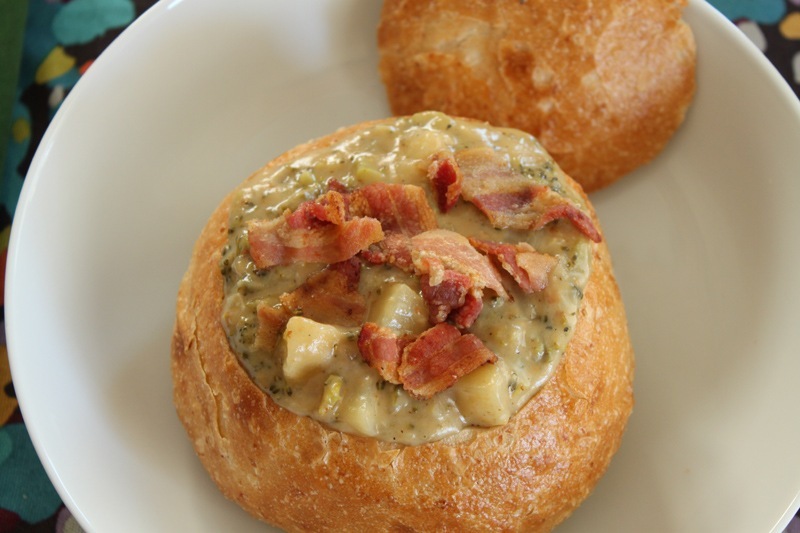 Pour the soup into the bread bowl and garnish with some of the chopped up bacon. 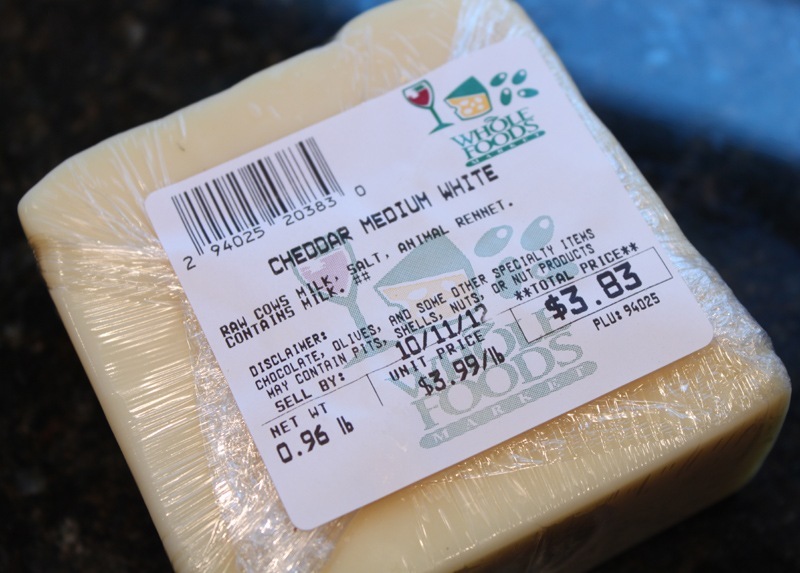 Hearty, cheesey, rich – the perfect Fall comfort food. Enjoy! 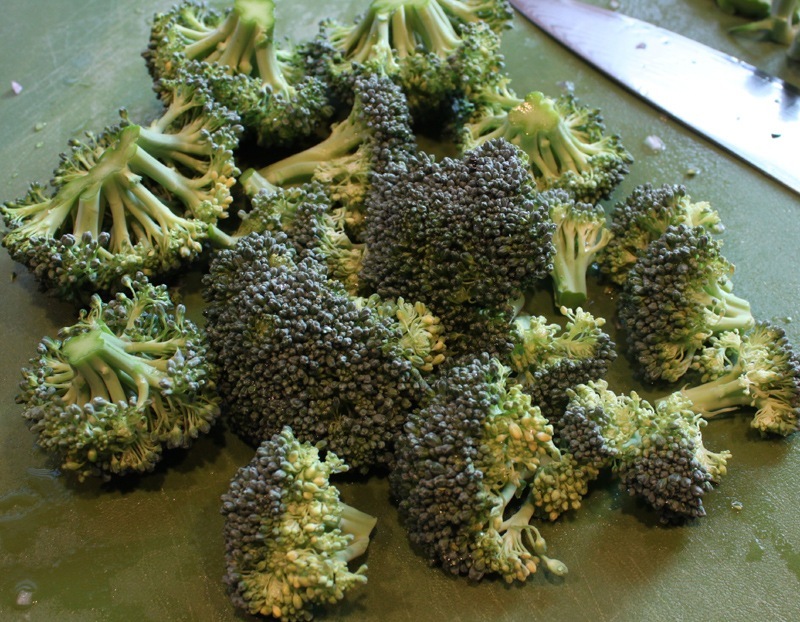 I always get an image of broccoli cheddar soup looking like awful fake cheese with a few pieces of broccoli in it. This looks MUCH better! Thanks! 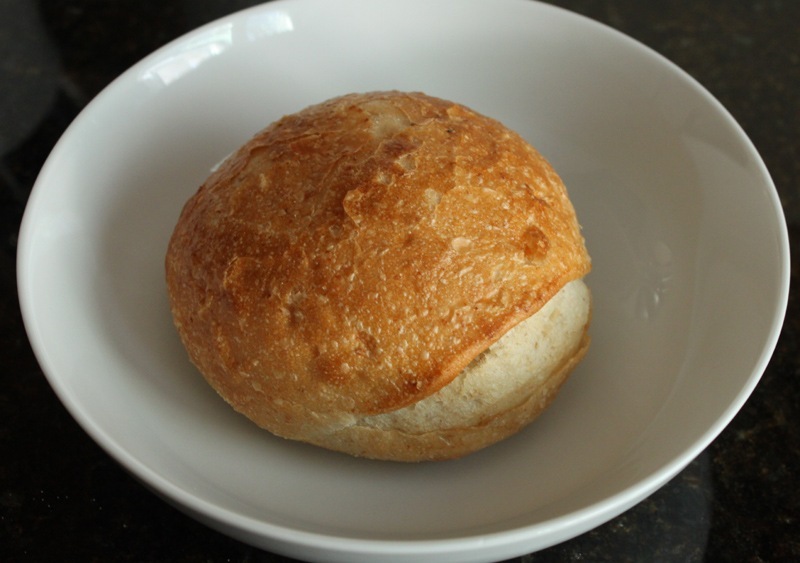 Homemade is always better – unless it’s Panera’s because their soup is amazing.